High Court of Gujarat Recruitment 2018 for Civil Judge Various Vacancies :High Court of Gujarat at Sola, Ahmedabad has released a notification for the recruitment of 28 Civil Judges. Interested candidates may check the vacancy details and apply online from 01-04-2018 to 30-04-2018. 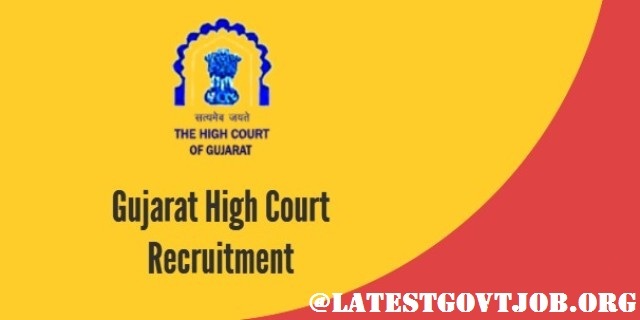 More details about High Court of Gujarat Recruitment (2018), including number of vacancies, eligibility criteria, selection procedure, how to apply and important dates, are given below.. Selection of candidates will be made on the basis of the Preliminary Examination, Main Examination and Viva Voce Test. General/UR/OBC Candidates have to pay Rs. 1000 and ST/SC/EBC/PWD and Ex-Serviceman have to pay Rs. 500 through SBI Bank Challan or online mode using Net-banking/Credit or Debit Card. Interested and eligible candidates may apply through High Court of Gujarat website - https://hc-ojas.guj.nic.in/ - from 01-04-2018 to 30-04-2018.